Project Wonderful, spearheaded by Globe Telecom is a collection of programs that aims to empower its customers, business, employees and the nation, has received a strong welcome for the first quarter of 2014 with a 9% growth in service revenues and core net income. Keeping this momentum, new and relevant offers are being offered as the Brand-building foundation of Project Wonderful. 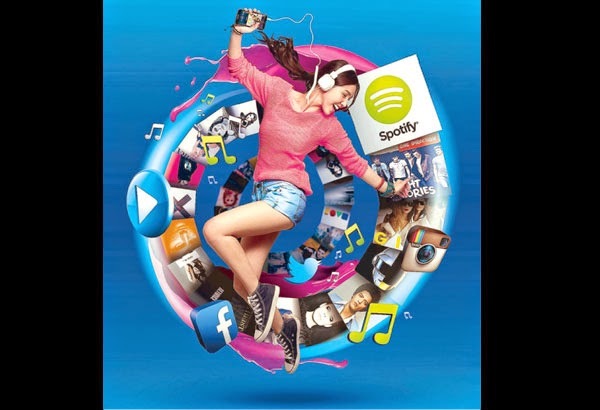 With another ground-breaking collaboration with Spotify, the world’s biggest music platform, Globe launched its consumable mobile internet data plan GoSURF, as well as GoUNLI20, its first stand-alone voice and mobile surfing combo. Broadband brand Tattoo launched Tattoo Home, which offers more perks and privileges. Tattoo On-The-Go has also launched their wide selection of new and affordable prepaid and postpaid tablet bundles.